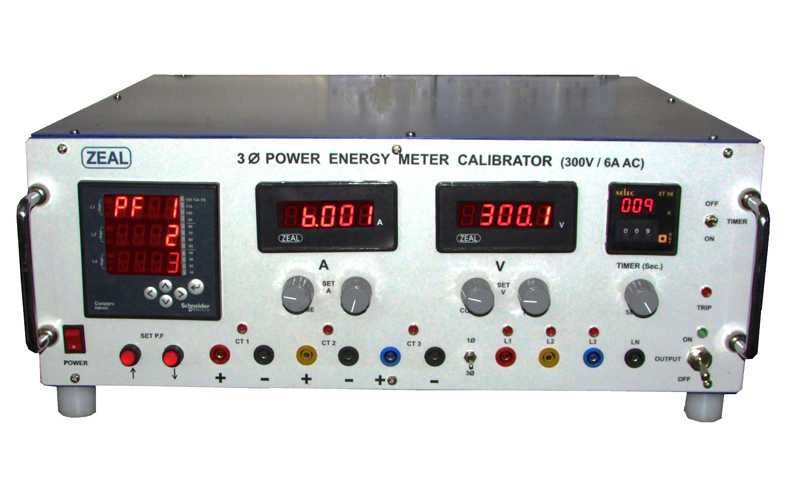 We are Manufacturer, Supplier, Exporter of Three Phase Power / Energy Meter Calibrator. This product also known as Watt Meter Calibrator, Energy Meter Calibrator. We are also specialized in Calibration Services ( Calibrator ) & our setup is situated in Pune, Maharashtra, India. Timer With programmable timer counter to keep output ON for fix duration. Duration programmable in minute.